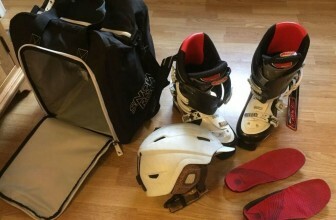 2.11 How to Choose the Best Mountain Bike Backpack for You? 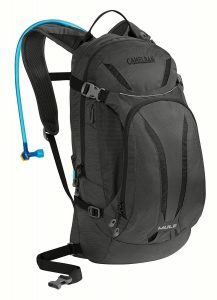 A perfect blend of trend, comfort and space, this backpack from CamelBak is a perfect package for any cycling enthusiast. The backpack is made of high-quality fabric and boasts of ergonomic design. You can store all your essential cycling stuff in this bag and zip them to safety from rain and extreme conditions. 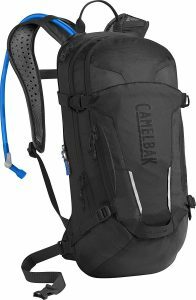 CamelBak is a renowned company and its excellence is transferred to the bag, offering the user the utmost comfort and security for belongings. It is thoughtfully made to offer cargo fit and the use of breathable fabric ensures hydration. Highly lightweight, the bag has enough room to store items and the straps are strategically set to offer optimum comfort while carrying. It features fryer arms and center baffling along with a low profile design which offers is style and strength. There are a total of 6 pockets- 3 interiors and 3 exteriors. A bespoke mountain cycle backpack, it has separate compartments for bike tools, clothes and other items. The backpack also features xv back panel, helmet hooks, magnetic tube trap and more. Extremely lightweight, the backpack has enough room to store all essentials and the M.U.L.E. technology makes it very easy to maneuver even when it is fully loaded. It is easy to open and close which makes it highly user-friendly for long biking tours. Although it is a popular backpack, it has been reported as less comfortable for people with a broad built. It has a lid lock attachment that is purposely made to carry helmets. Lightweight and sturdy, the backpack is easy to maneuver and has sufficient room for storage. Ergonomically designed, it has separate compartments for organization, both internally as well as externally. It has two types of straps side compression and cross compression which work for stabilization and a carriage strap respectively. To make way through the dark, the bag has a blinker light attachment to install a light attachment. 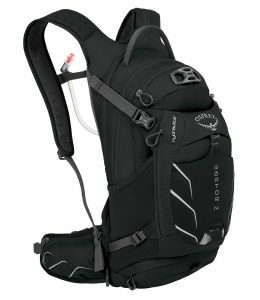 The backpack has a comparatively large hydration compartment with a capacity of 3 liters. It features a hip belt pocket for storing money, keys and like items, securely. 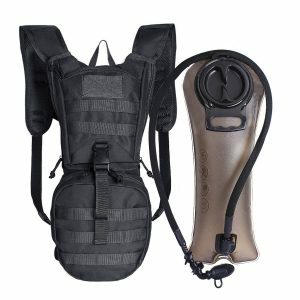 The hydration pack has an old styled closing. Also, it might get dirty and is tough to clean. The bag fails to fit broad structured people. It features a leak-proof cap which is easy to open and close as well as prevent leakage. The drinking tube is connected to a button that allows easy disconnection for drinking and refilling the tube. The tube comes with an additional Anti-Microbial HydroGuard Coating, which is BPA, BPF and BPS free. It also boosts the hygiene value of the backpack. There are several external hooks for carrying stuff like ropes, extra bottles, helmets and more. Befitted with M.U.L.E. 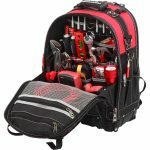 technology this bag features narrow gauge design that allows easy maneuverability. It has several pockets, both internally and externally, to keep your stuff organized. Easy to load ad refill the backpack is a highly user-friendly. There are complaints regarding water leaks as well as poor zipper quality. Heavy duty construction of Rugged 900 Denier Polyester that offers it longevity. It is further lined up with PVC lining which boosts its strength. The water capacitor can store 2.5-liter water and has a hands-free hydration hose that allows easy use. The water bladder is made with high-quality material and is completely BPA free. To keep the water cool, you may add ice to the bladder. 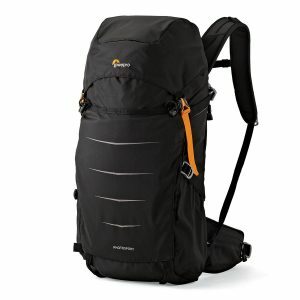 It is lightweight and compact to carry on all adventure expedition without being overloaded. It comes with a 60 days money back guarantee in case you do not find the product satisfactory. The purchase price is immediately refunded. It has many pockets which allow storing a number of items including phone, towels, snacks, wallet, keys and more. The water reservoir is reported to have leakage. The water mouthpiece too is loosely fitted and comes apart easily. 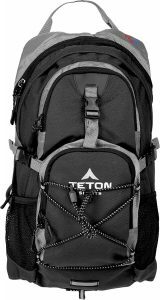 It is an 1100 cubic inches backpack that is comfortable and lightweight for long-duration expeditions. The water cabinet measure 2 liters and made from BPA free material. It also features 2-inch openings that allow adding ice to the cabinet. It is fitted with quality foam stabilizers and an adjustable strap so that it can be used by anyone in the family or friends. There are several zippers for organizing stuff and all of them is guarded with an extra weather protective coating. The backpack features a sewn-in rain cover to protect your backpack and the items in store from the rain. It also has a shock resistant chest strap which keeps it in place when you ride through the tough terrains. Poor zippers quality might disappoint you while using this mountain cycling backpack. It has adjustable, breathable mesh fabric shoulder-straps for more comfortability and ease of use. The bag features nylon material construction which is also water resistant. Bottle holder pockets on both of the sides and interior partitions for organizational needs. It also has a cross zipper to store items like keys, cash, charger, wallet, phone and more. It is thoughtfully designed and meets the requirements of all types of bikers including men, women, and teenage boys/girls. It is perfect to store items for any activity like mountaineering, hiking, biking, camping and more. It does not have an inbuilt water reservoir like most other variants in the market. Even the bottles holders are small and do not hold average sized bottles. 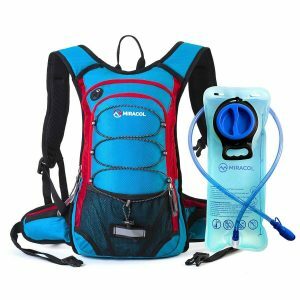 It features a replaceable water bladder that can carry 2-liter fluid at a time. The backpack also has thermal insulation feature that keeps your liquid cool for up to 4 hours. The bag promises both comfort and longevity, thanks to its expert construction and high-quality material built. It is lightweight and does not add additional weight to your back. It weighs only 1 pound. Structurally blessed, the backpack has several compartments to store like items systematically. There is a 100% money back guarantee with this backpack from the manufacturer. It is very durable and comfortable along with a breathable fabric that keeps your back cool and dry. The water barrel does not work well and there are complaints about less water and more bubbles. 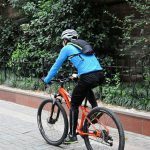 It is an MTB backpack with a variety of features that make it perfect for a mountaineering expedition or cycling uphill. Some unique features of the water reservoir system include an easy to use cap, dryer arms, quick link system and more. It can carry a number of essentials including helmet, armor, and more. The backpack also features a waist belt that can carry small belongings like keys and cash. It is lightweight and has multiple pockets to stock all items systematically. 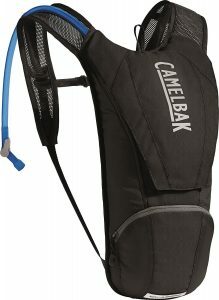 It comes with CamelBak lifetime guarantee. The backpack takes a toll over your shoulders and might cause you a back pain while you carry your stuff. The backpack features a sleek design which is made specifically to offer more comfort to the back and the shoulders. There is a reservoir that features a special design and thus offers 20% more water in every sip. The pockets are secured with quality zippers which keeps the stuff safe and tidy. The shoulder strap and the harness have breathable fabric and hence the user enjoys an easy maneuver. 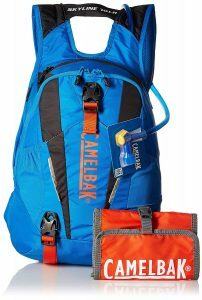 It is sturdy, offers breathable fabric, comfortable to carry and has a great capacity for a biking tour essential packing. The water reservoir delivers just a perfect mouthful of water with every sip. Many users have reported a leak in the reservoir. Separate compartment for DSLR, camera lens, water reservoir, as well as some snacks, clothes and other essentials. Ultra-secure pockets to ensure complete safety of your expensive DSLR while you ride the rough terrain. It features a built-in All Weather AW Cover which protects your gears from extreme weather conditions and elements. Many connection straps that offer easy grip to most of your extra gears like tripods, helmets and more. It has a belt that tightens the backpack’s grip offering protection against the bounces. It can store up to 2 liters of water to help you stay hydrated. The DSLR compartment is reportedly very compact to hold a professional camera. 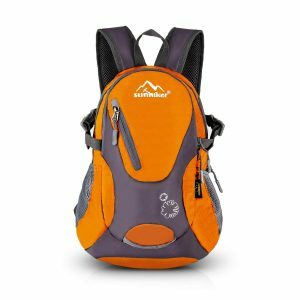 How to Choose the Best Mountain Bike Backpack for You? Depending upon your needs you can pick any capacity. 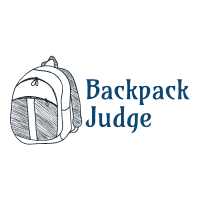 The backpack lies along with your back and thus the length of the wearer’s back is critical while choosing one. This is the reason there are separate variants for men and women. To measure the back, the area from the iliac crest to the lowest cervical vertebrae C7 is considered. Also, the shoulder straps should lie between the blades on the shoulders. The backpack should lie right at the center of your back. If it lies too close or too far, you need to consider the variant. 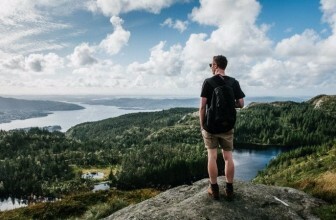 It is common to rain on the mountains and if you are carrying some essential in your backpack, you will definitely want to protect them from the elements to sort the purpose, mountain bike backpack manufacturers come with waterproofing covers that are either built-in or needs to be manually spread as soon as the rain is experienced. You will have a helmet, camera tripod (in case you are a photographer) or many such gears while biking. While carrying them in hand is out of the question, a perfect backpack will have an extra strap to hold these items. These are some of the tips that will help you locate the best mountain bike backpack. Finding the best one is a must if you want to enjoy a great trip to the mountains. 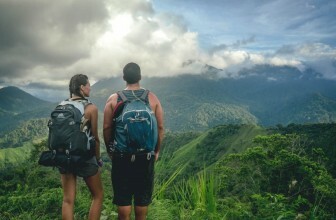 There are several types of mountain backpacks available for different sorts of needs. You can evaluate each one of them in terms of features and your budget and make a perfect choice. These bags can carry a lot of essential items and offer durability if you care for them. So, head out and check all those smart, comfortable and classy backpacks available in the market.